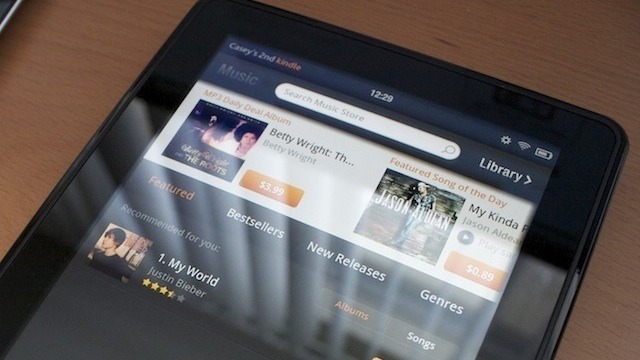 The Kindle Fire, due for release tomorrow, landed in our hands today. As we work on our comprehensive review, we wanted to share our initial impressions. So we unboxed the tablet-like device and skimmed through our collections of Kindle material, browsed the Internet, and gave the keyboard a go. While our initial impressions aren't overwhelmingly positive, this is a device that has some serious potential. The Kindle Fire is packaged simply in a cardboard box inside a sleeve. The only items inside are the Kindle Fire itself, a charger, and a card in a slot printed with the briefest of instructions. Right. Away we go, then!